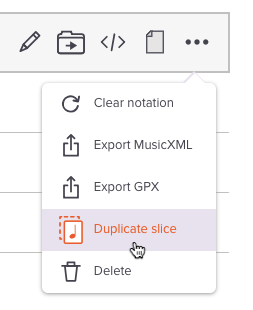 Today we’ve added the ability to duplicate slices you’ve created. This is useful for a variety of reasons. For example, you can use it to make slightly different slices for different students, starting from the same “master” slice. This feature is available for all paying Soundslice customers. Enjoy!